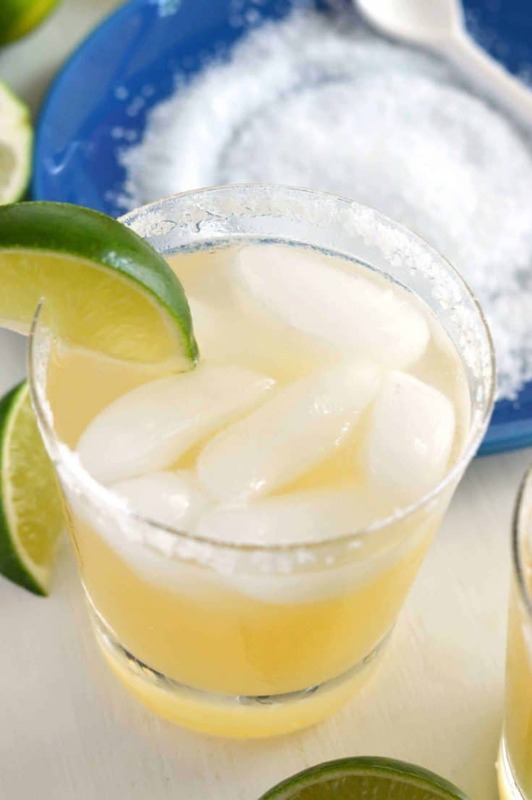 This skinny coconut margarita is lightened up with Bai5 in place of cream of coconut. They’re refreshing, crisp, and perfect for any margarita lover. I have a new addiction. It’s name is Bai5. It’s my new go-to drink alternative to water and coffee. Bai5 antioxidant beverages are super fruit infused, sweetened with stevia, are naturally caffeinated and have just 5 calories per serving. 5. There are so many great flavors but so far, my faves are blueberry, clementine and of course, coconut. 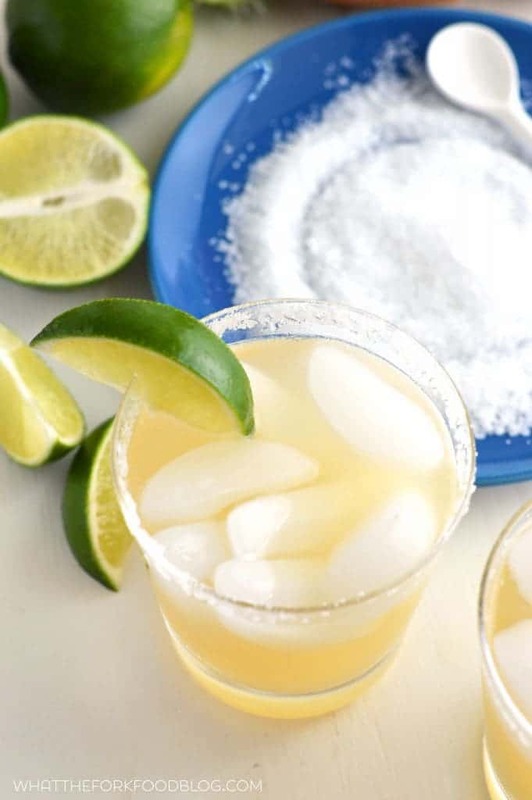 Coconut being the inspiration for this fine, fabulous skinny coconut margarita. 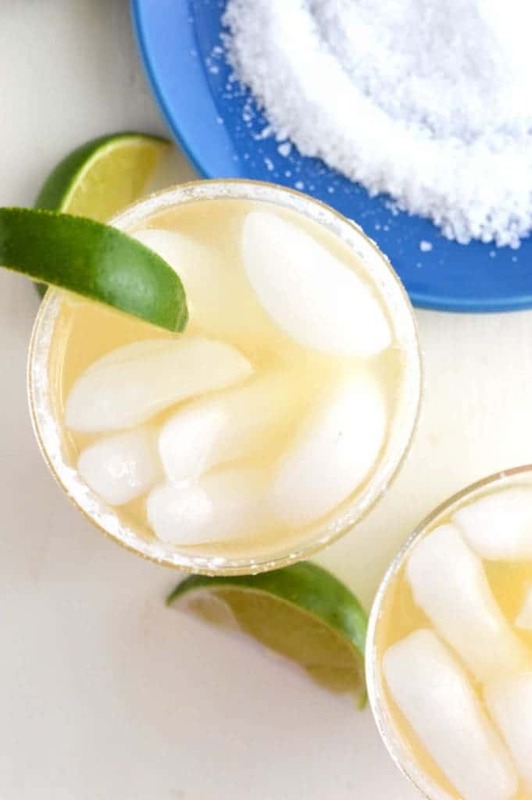 These coconut margarita recipes are pretty straight forward. They’re pretty much modeled after my Jalapeño Margarita recipe because I really like the tequila:grand marina:lime juice ratio. I used the Bai5 Molokai Coconut in place of the agave nectar. I did use a little bit more of the coconut since it’s not as sweet as the agave simple syrup and I wanted to have a little stronger coconut flavor. They’re so good and they’re perfect for sipping on. Enjoy! Rub a lime wedge along the rim of two glasses and dip them in margarita salt. Fill each glass with ice. Add the tequila, grand marina, lime juice and molokai coconut bai5 to a cocktail shaker. Shake well and pour over the ice. Garnish each drink with a lime wedge. 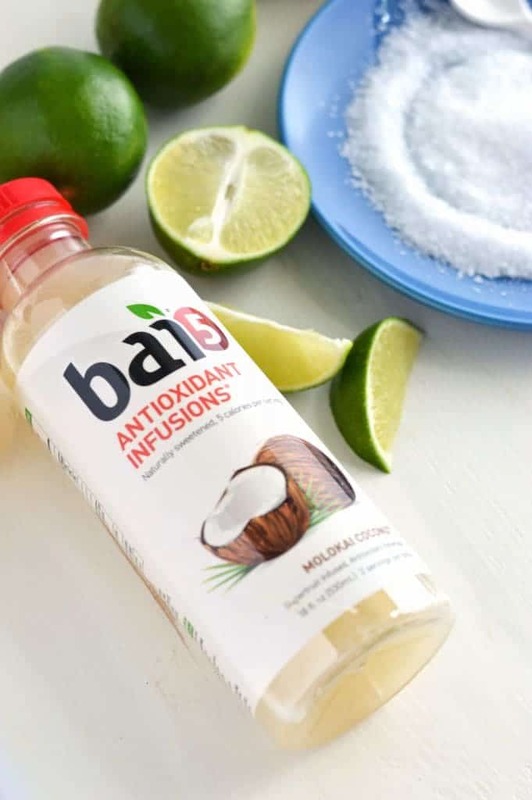 You may use additional coconut Bai5 to taste. I just had a Bai 5 for the first time this weekend! *whhyyyyy* did I not add tequila??!! 🙂 this sounds so good! Adding tequila is always the better option – next time! 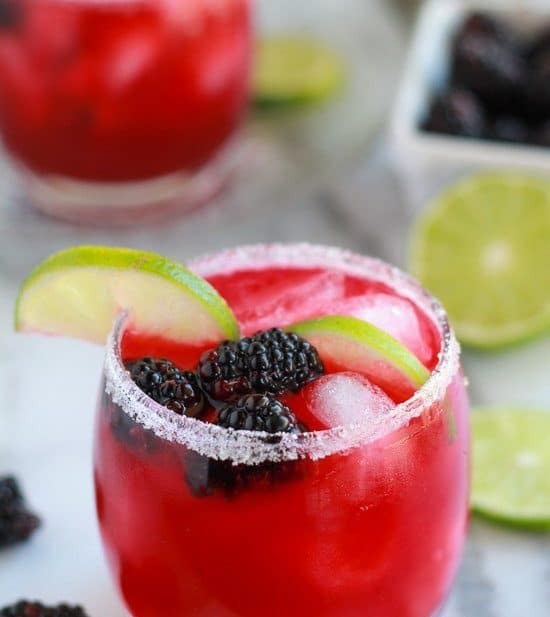 I love margaritas and these look absolutely delicious – perfect for summer! These look delicious and I love that they are “skinny”! 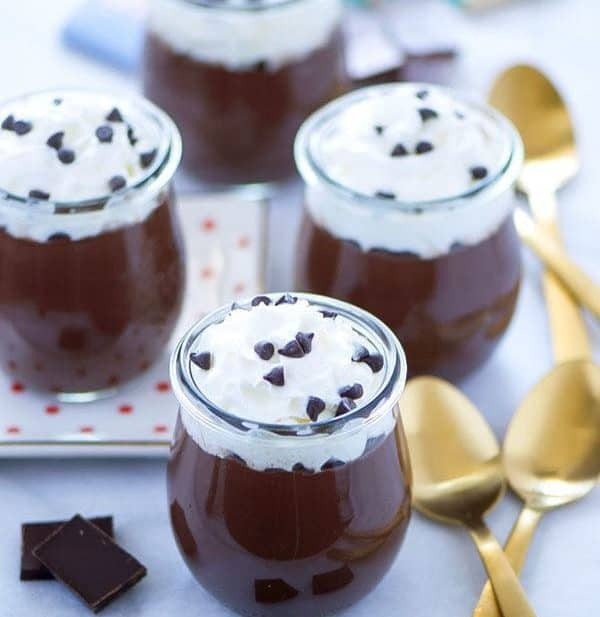 Man, I wish I had this recipe for the holiday! 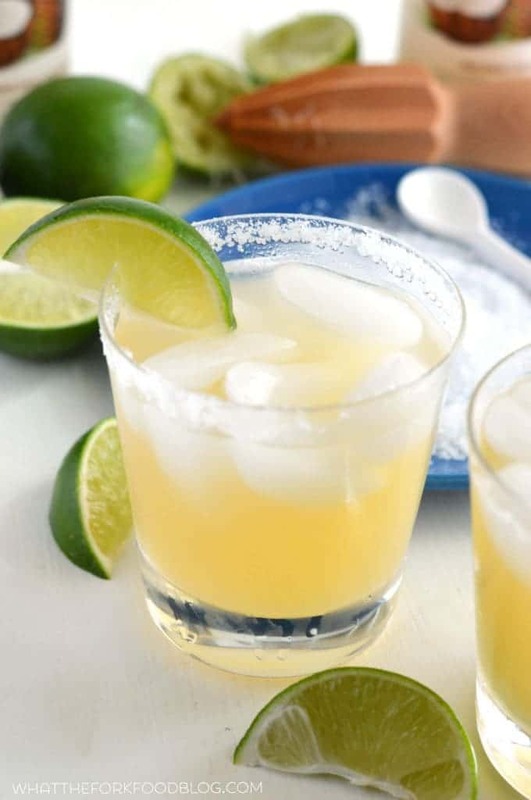 I love the coconutty flavor in a classic margarita drink! 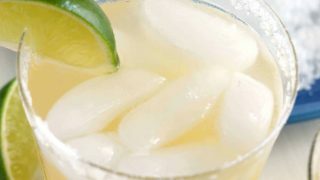 Looks fantastic Sharon <3 Margaritas are my all time favorite cocktail. 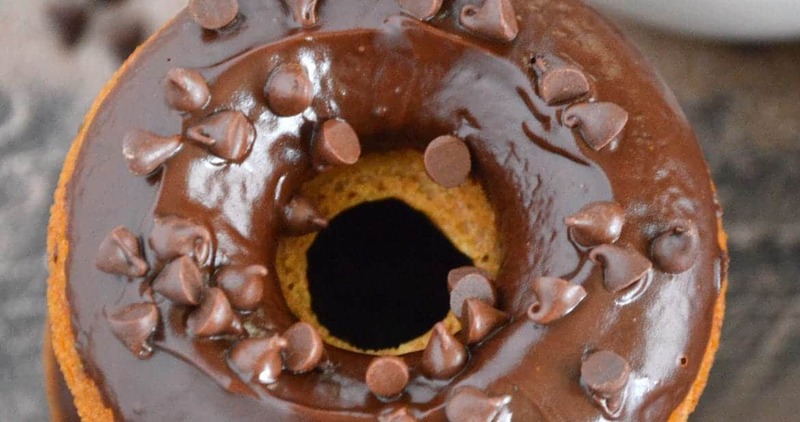 Can't wait to make this. Thanks Georgie, margs for life! ahhh this sounds like the perfect Saturday evening drink outside on the patio! 😉 pinning this! de-lish!